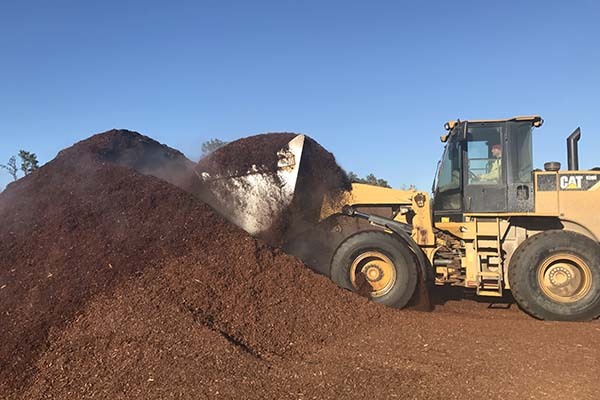 Landscaping Mulch | Wood Preservers Inc.
At Wood Preservers, we produce both pine and hardwood mulch for the landscaping and nursery industries. Our landscaping mulch is 100% tree bark. The landscaping mulch contains no stump grindings or other fillers, no chemical dyes, and is shredded to a uniform and ready to use size. We can either ship the landscaping mulch directly to you, or you may pick it up at our facility. For tractor trailer truck size shipments, which are approximately 80 cubic yards, we can arrange to have the landscaping mulch shipped directly from our mulch plant to your jobsite on self-unloading trucks. If you prefer, feel free to stop by our facility in Warsaw, Virginia, and we will quickly load your truck or trailer with one of our 8 cubic yard bucket loaders. For your convenience, we have truck scales available for you to check the weight of your vehicle prior to leaving our plant. We are open Monday through Friday from 7:30 am until 4:00 pm for loading trucks and trailers with landscaping mulch. For retail outlets we offer 3 cubic foot bags of pine mulch, hardwood mulch and planter's mix potting soil. 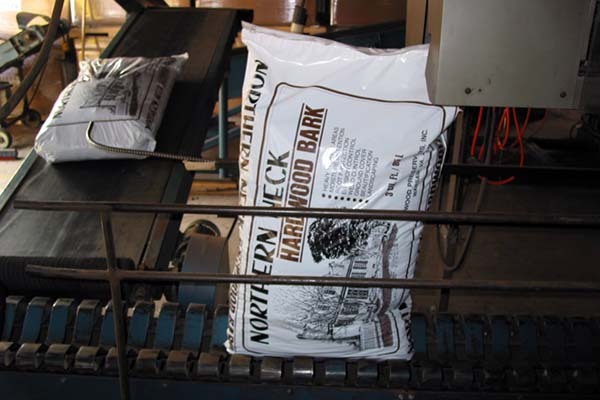 Our bagged landscaping mulch and potting soil is sold in palletized quantities ready to load on your truck. Please call Brenda or Jeff at 800-368-2536 to order your bags, and we will have your pallet of landscaping mulch ready for pick-up prior to your arrival.